On every family holiday, my father allocates a minimum of TWO days for shopping, which is a very smart system so we don’t go nuts on the first day, and also so we don’t waste time in shops on the non-shopping days. On the latest holiday to NZ, I went to TOWN in Stevens, Albany Mall. Talk about a dream come true! See, we don’t have shops like that here in Malaysia, and what shops we do have, have (am I the only one who despises using double words like that?) limited supplies and are far too expensive for a poor, entry-level consultant like myself. I bought at least 12 items (including stuff from Living & Giving) for under NZ$100! 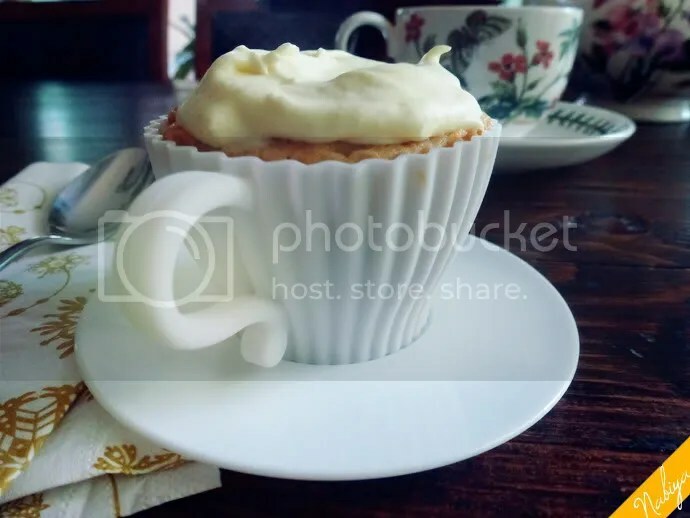 One of the things I bought were these super cute silicone teacup cupcake molds, and I’ve been thinking about them ever since. What flavour should I make them? What toppings? When? 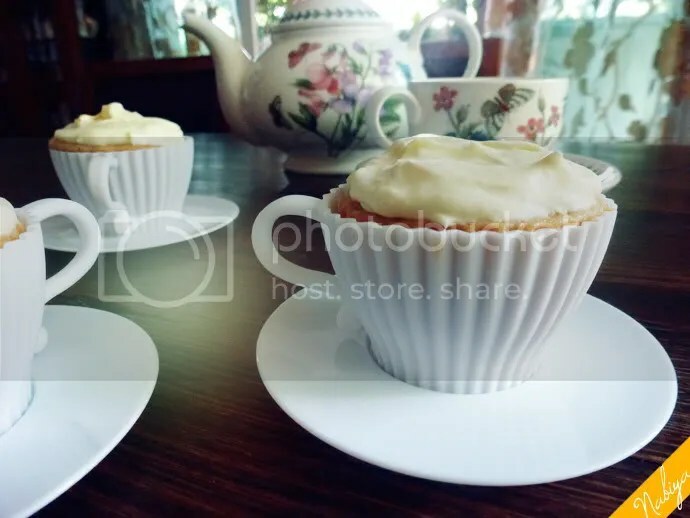 I decided to go literal and make earl grey tea flavoured cupcakes, with a basic cream cheese frosting (mostly cos I’m lazy…). Oh, for those interested, you can order the molds online here. I found this brilliant recipe from objetivo cupcake (thank R’hllor for auto translate!) which doesn’t require using tea-leaves, straining and so on and so forth. It’s quick, easy and doesn’t yield very much batter, which is a blessing sometimes as I’ve already got a backlog of desserts in my fridge and mum’s none too pleased about it. It’s been a while since I last typed up a blog post, so I’m a little rusty and the words aren’t flowing. Let’s just get on with it! 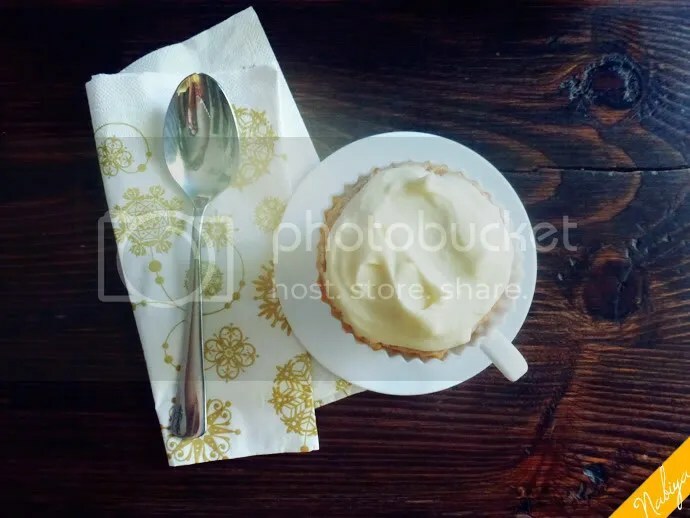 Then kick back, and enjoy a cupcake with it’s best partner: a cup of Earl Grey tea, and just chill out. Tea solves all problems, doncha know? 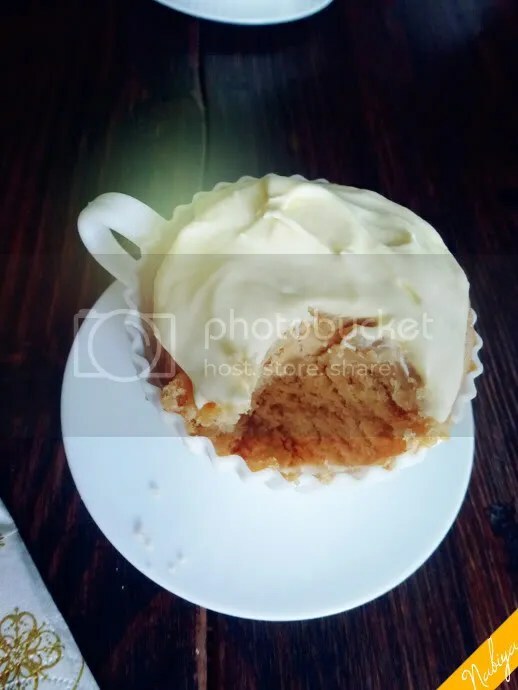 The texture was amazing, slightly denser than the average cake, which is great for a cupcake as it doesn’t crumble as much. The flavour of the Earl Grey tea was full-blown and it made for this perfectly citrusy, fragrant aftertaste. The cake on its own without frosting is fab, but with frosting is decadent! I actually gobbled up an entire cupcake sans frosting around midnight last night… bad Nabs.